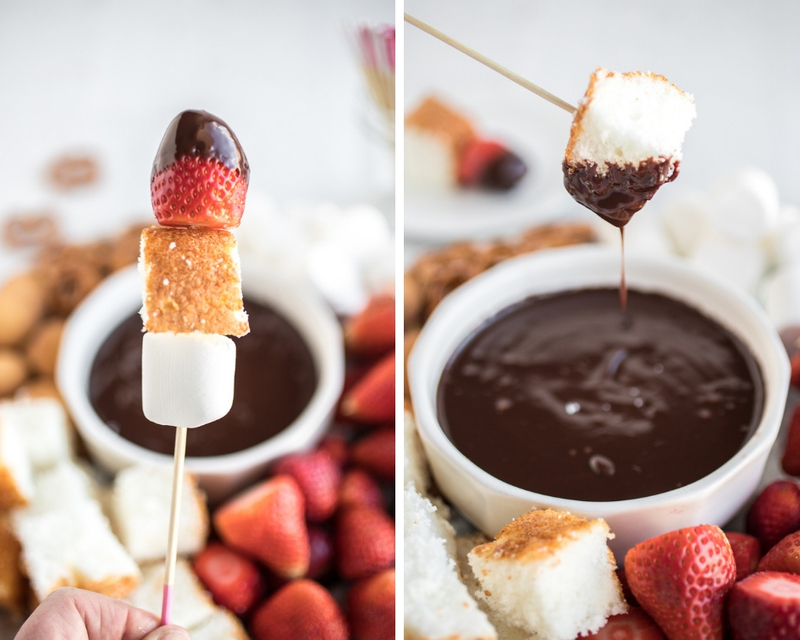 A delicious and easy chocolate fondue recipe with fun dipping skewers and dipper ideas. All three of my kids love chocolate, and when I say chocolate I mean straight chocolate bars or chocolate chips by the handful. 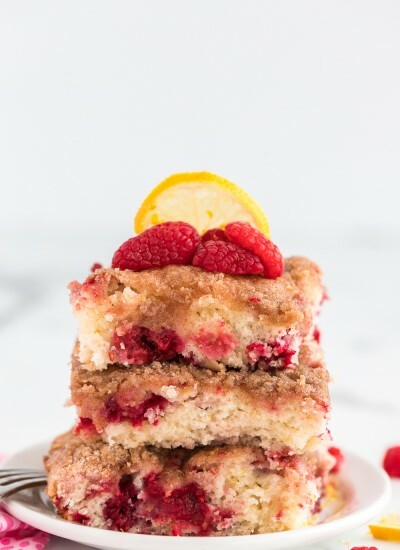 I personally will choose a fruity dessert or treat over chocolate but when you can combine the two everyone is happy! 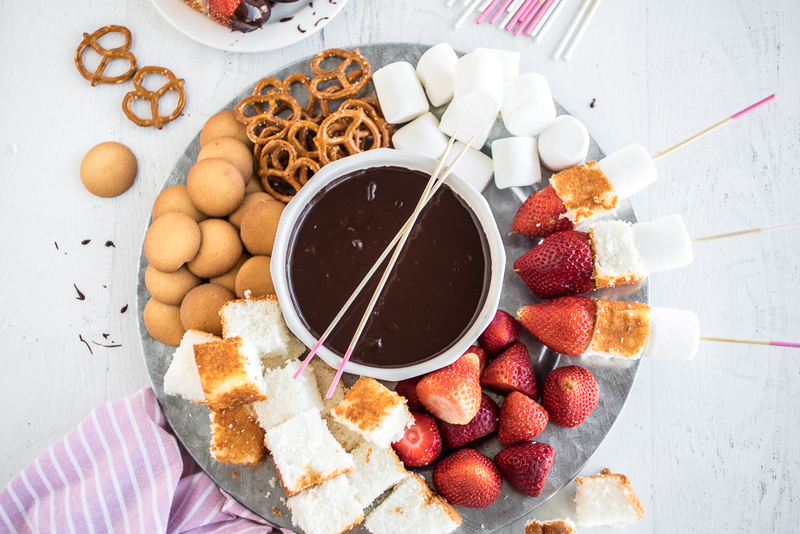 This delicious and easy chocolate fondue can be made with just a few simple ingredients and you can customize your dippers to your family’s favorites. 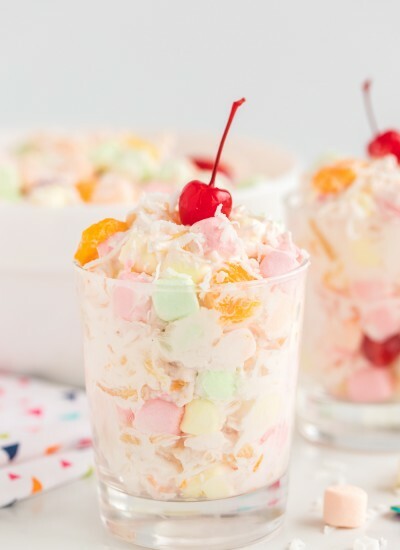 It’s a great treat to serve after school and work while everyone is rewinding from the day but it’s also a fun dessert to serve at parties or family gatherings. 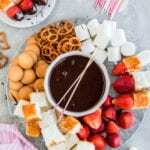 What are the Ingredients in Chocolate Fondue? 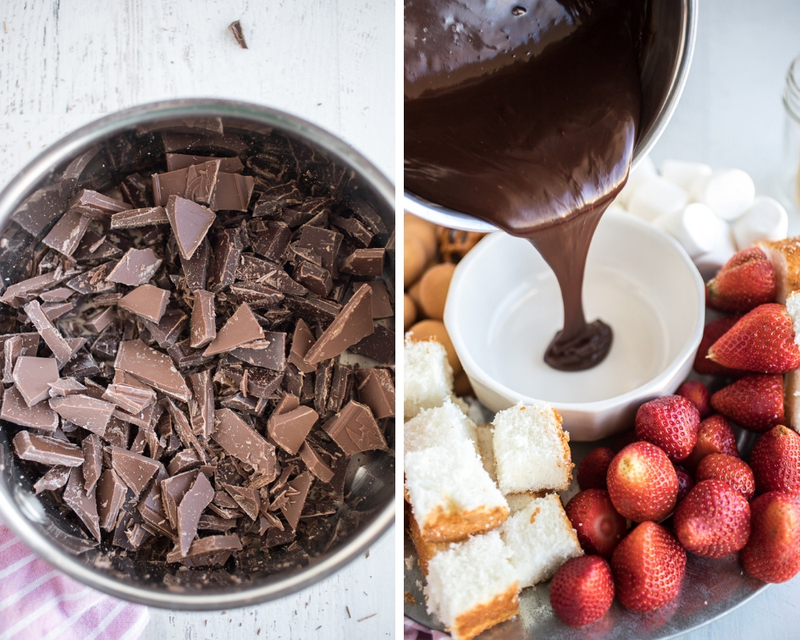 The ingredients in this chocolate fondue are so simple! 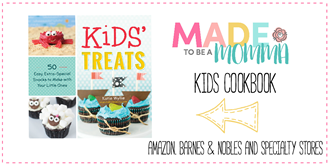 The main ingredients is chocolate. For the best tasting chocolate I recommend using a higher quality baking chocolate such as Ghirardelli or Bakers Secret. We don’t like our fondue to be overly sweet so we use a mixture of semi-sweet chocolate and milk chocolate. 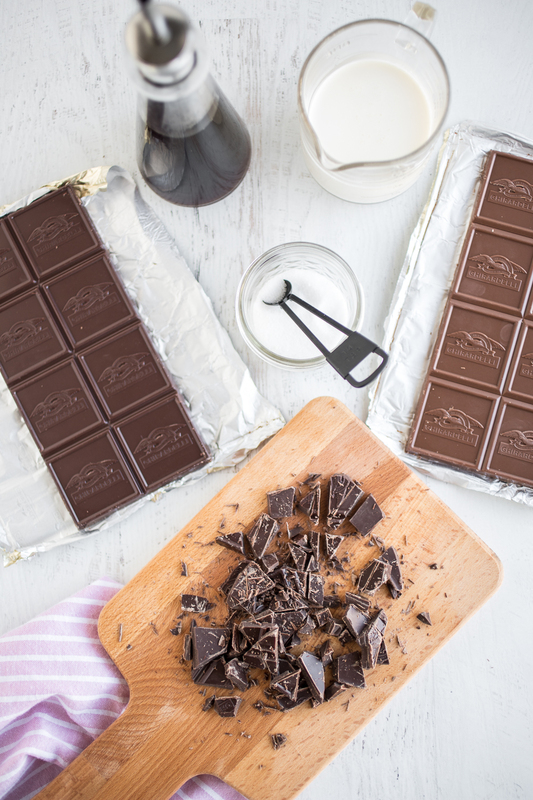 If you like a sweeter chocolate you can use more milk chocolate than semi-sweet. Put fondue ingredients in a medium sized saucepan. Whisk on medium heat until all ingredients melt and incorporate together. 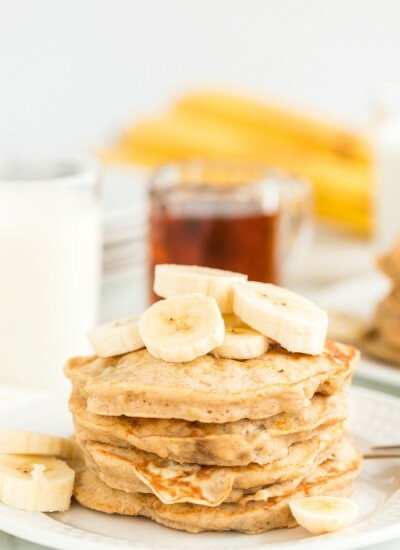 Add more heavy whipping cream if needed. Serve immediately with skewers and goodies. 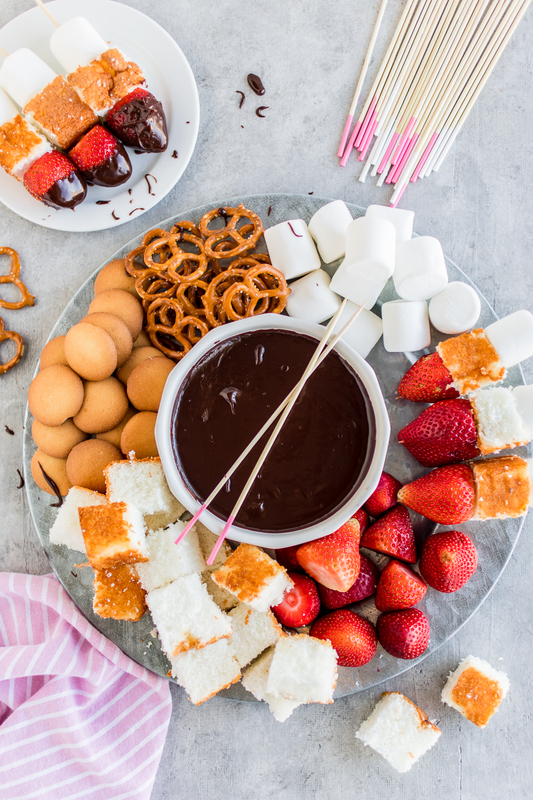 There are so many fun dipper options when eating chocolate fondue. 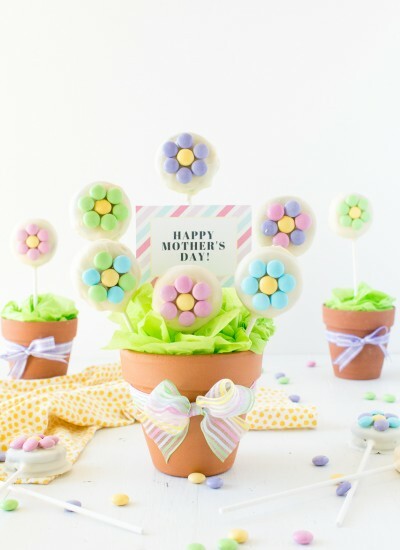 Prepare a platter of goodies surrounding the chocolate for a fun way to serve and enjoy a sweet treat with friends. Prepare skewers using small skewer sticks (easier dipping). Add a marshmallow, piece of angel food cake and a strawberry. Repeat until desired amount of skewers are completed. Set aside. Put chocolate fondue ingredients in a medium sized saucepan. Whisk on medium heat until all ingredients melt and incorporate together. Serve immediately with skewers and goodies. If it begins to thicken or cools, just pop in the microwave at 10 second increments to warm it again. 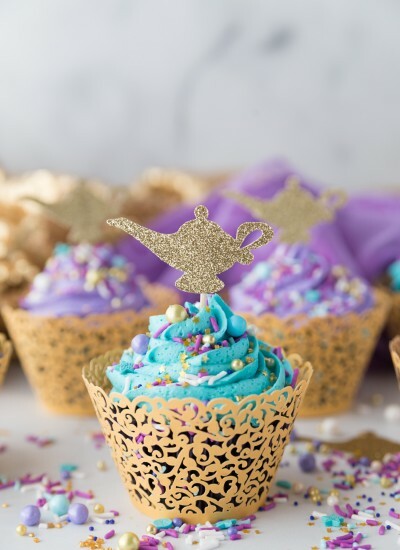 This is so yummy and fun. I love it!